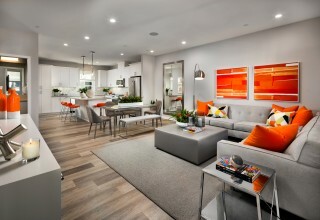 Irvine, CA, February 12, 2019	(Newswire.com) - ​​Developed for the ultimate in work-life balance, C2E Irvine by Intracorp is the urban boutique townhome community giving OC homebuyers back hours of their day by placing them in the heart of the region’s employment, transportation and entertainment centers and making exhausting commutes a thing of the past. 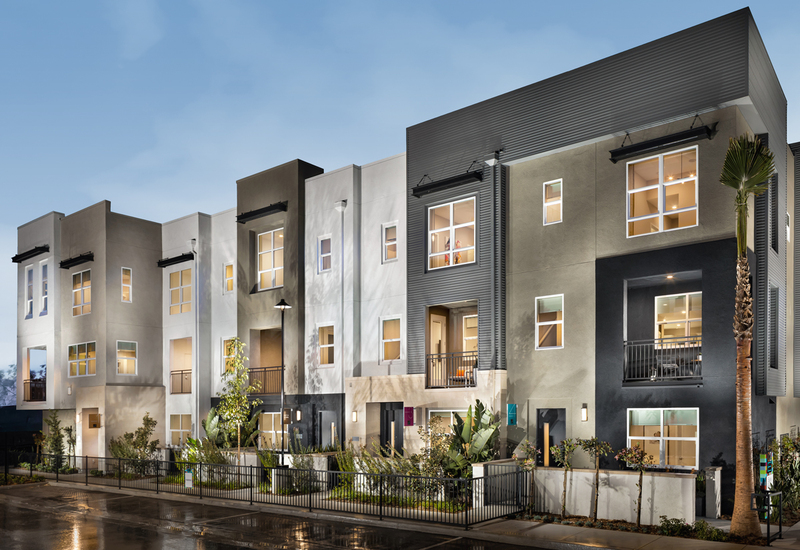 Now selling from the low $700,000s, the two- to- four-bedroom townhomes offer plenty of room for home offices, are close enough to hundreds of corporate offices to walk or ride to work, and are conveniently close to John Wayne Airport for those times business takes you further afield. Coveted Plan 1 and 2 residences are now available, featuring two bedrooms, and two bedrooms plus study, respectively, in highly desirable corner locations with large windows and high ceilings. “C2E is close to Southern California’s most important hubs for business, research, learning and innovation. We’re proud to offer the workforce in Uptown Irvine an upscale, for-sale housing option conveniently close to major headquarters, John Wayne Airport and all the amenities they need to live a happy and balanced life,” stated Intracorp Vice President of Development Rick Puffer. Located at 2286 Synergy in Irvine, off Von Karman Ave. between McGaw Ave. and Alton Pkwy. close to a diverse mix of restaurants, bars and cafes, entertainment events, theatres, cultural centers, and transport hubs. At C2E, convenience also comes home. Ranging from 1,245 to 2,039 square feet, the contemporary, three-story, open-concept townhomes with direct-access 2-car garages were designed to appeal to the tastes of OC urbanites who value streamlined simplicity. 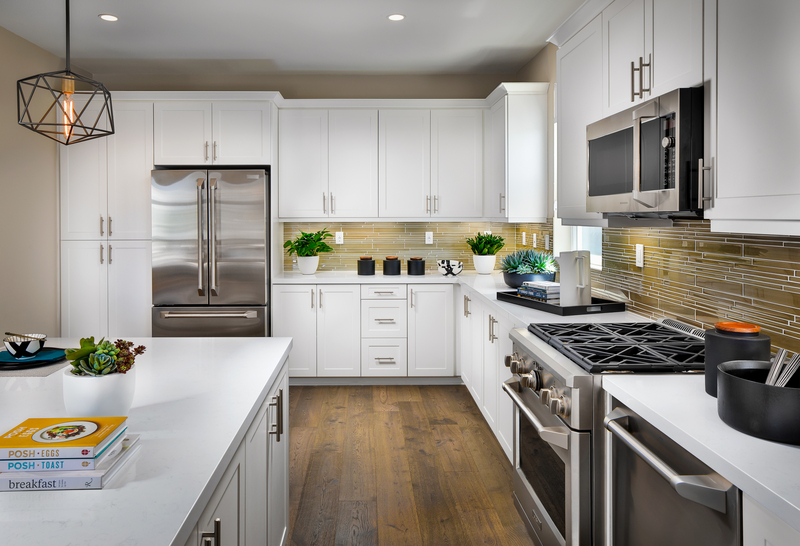 The homes showcase spacious kitchens, equally loved by everyday gourmets and the take-out set, and outfitted with stainless steel Bosch appliances, quartz countertops, white Shaker-style cabinets and modern Moen faucets. Master suites have large windows to maximize natural light and walk-in closets favored by shopaholics. 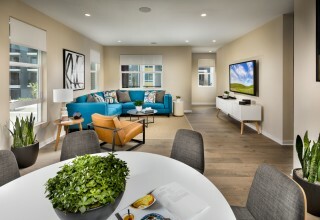 Many homes feature private entry patios and decks off of main living spaces that are perfect for entertaining and indoor/outdoor living, and C2E's two largest plans have convenient first floor bedrooms with ensuite baths, perfect for housing out of towners or setting up a dream home office. With no Mello Roos, low taxes and low HOA fees, more than half of C2E’s residences have already sold. Interested homebuyers and brokers are invited to visit the model homes and sales center at C2E, open Monday through Sunday, 10am – 5pm and Wednesday, 1pm – 5pm. Quick move-ins are available and brokers receive a 2.5% commission. For more information contact Community Sales Manager Rebecca Travell-Szemes at (949) 402-3302 or Rebecca@C2EIrvine.com. Developing communities in six urban regions in North America, Intracorp has established itself as a real estate developer that delivers extraordinary experiences to homeowners. As one of North America’s largest developers of multi-family homes, Intracorp has delivered more than twenty-two thousand homes in 176 communities. The company grew out of founder Joe Houssian’s first business venture, Intrawest, which was founded in 1976. It began as an urban residential real estate business and transformed into an internationally renowned resort and real estate development company credited with the success of several preeminent ski resorts such as Whistler Blackcomb. Intracorp currently develops outstanding communities in British Columbia, Ontario, Washington State and California. C2E is part of the company’s collection of residential for-sale developments in Uptown Irvine, including LUX, opening January 26, 2019 and MDL, coming in late spring 2019. Intracorp is an urban West Coast developer that believes integrity, passion, innovation, respect and financial discipline lead to great things: Beautiful new homes. Stylish rental properties. Welcoming neighborhoods. Long-lasting friendships.